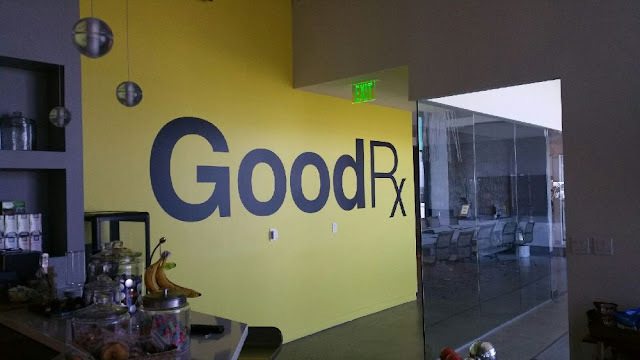 7 year old prescription drug price comparison startup GoodRx just recently closed an investment from private equity giant Silver Lake with the global technology investment leader making a strategic investment in the startup which several sources says values it at $2.8 Billion. Financial terms of the investment made by Silver Lake has not been officially disclosed but as reported by CNBC citing 3 persons familiar with the matter, This strategic investment values the healthcare startup founded by former Facebook and Yahoo executives at a large $2.8 Billion. In previous times, GoodRx which has crossed $100 million in annual Earnings Before Interest, Taxes, Depreciation and Amortization (EBITDA) was reported to be in acquisition talks for a price of up to $3 Billion with health distribution giant McKesson being among the interested buyers. GoodRx offers persons without health insurance or with high deductible prices ways to shop for drugs at affordable prices through its system providing current prices and discounts for prescriptions across pharmacies around the U.S. and says its service has helped users save over $6.5 Billion in healthcare costs since its founding in addition to being used by more than 10 million Americans each month. "We're excited to welcome Silver Lake to the GoodRx family," said Doug Hirsch, Co-CEO of GoodRx. "Silver Lake's proven track record as a technology investor will advance GoodRx's mission of making healthcare more affordable for all Americans." Silver Lake joins current investors Francisco Partners and Spectrum Equity to help drive the company's next phase of growth. "At GoodRx, we believe consumers deserve a simpler approach to understanding the cost of their healthcare," added Trevor Bezdek, Co-CEO of GoodRx. "Our new partnership with Silver Lake enables us to continue to deliver innovative solutions that help Americans understand and reduce their healthcare costs." Silver Lake is reported to be taking a one-third stake in the company making the firm the largest shareholder in GoodRx whose service stands as the no 1 medical app on the iOS and Android app stores as of current. The Santa Monica based startup stands as a unique one having raised just $1.5 million in seed funding during its launch with just an additional undisclosed private equity investment later on before scaling to a very high value with good revenues being minted from its business.